James T. Hittinger is a Partner of Bonner Kiernan Trebach & Crociata, LLP. Mr. Hittinger concentrates his practice on the defense of civil lawsuits. 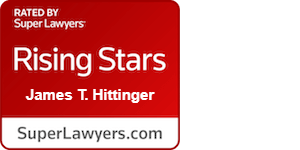 Mr. Hittinger has experience investigating and defending general liability claims in the circuit and district courts of Maryland, Virginia, and the District of Columbia, including medical liability, trucking accidents, defamation, premises liability, and other suits. He also has provided counsel and representation for clients in contractual, criminal and domestic matters. Mr. Hittinger was born in Seattle, Washington and resides in Maryland. He earned his B.A. in English from Franklin & Marshall College and his law degree from the University of Baltimore School of Law. While in law school, Mr. Hittinger was a two-time member of the National Appellate Advocacy Competition Moot Court team. He is a member of the State of Maryland, District of Columbia, and Commonwealth of Virginia bars. He also has privileges to practice in the United States District Court for the District of Columbia and Maryland.